Here you can download latest version of verified & working Windows 7 driver for Mini USB 2.0 to TTL 6Pin CH340G Converter sold as BTE13-009/USB. CH340 with Ubuntu no problem, Win7 after using this driver O.K.! These CH340 boards they are so cheap and work great :-) Can’t believe how much i was paying for FTDI… until now… man they really pissed me off with the driver destroying fake chips. Like i know which one is fake and which not when ordering it! All of them were expensive! This driver is working OK with Arduino UNO R3 ATmega328P CH340G USB Driver Development Board, tested it right now. On the board is a sign M.Jduino UNO R3. no prolific, no Cdm ftdi worked on my new China made Arduino UNO. Then I found this page and downloaded the 340g driver. Now it is recognized on my Win 7 system PC. It works!!! fantastic, finally me it works, thank you for the driver. Thank you, very much. It works perfect!!! Is there a wai to connect it with android? Anyone find the driver for windows 8 x64? hey guys does anyone know why this is everything is hooked up?? Sketch uses 1,030 bytes (7%) of program storage space. Maximum is 14,336 bytes. Global variables use 9 bytes (0%) of dynamic memory, leaving 1,015 bytes for local variables. Maximum is 1,024 bytes. Probably you have to choose “old bootloader for ATMmega” from your development environment where you inject code to Arduino. I had the same problem under Linux several development environments. Merci pour cette résolution de mon problème!!!! Mes 2 clones chinoi a 0.01€ fonctionnent!!!!!!!!! Way to use the internet to help people solve prblmeos! The newer 3.4.2014.08 version I got directly from the Chinese manufacture at ch.cn never worked with my Windows Seven/64, Windows do not trust it and refuse to load the driver. Got my board off of a seller on Ebay. for less then 2 bucks. Awesome little board, gotta buy more, thanks for driver. This driver works great for inexpensive Chinese NANO clones equipped with CH340G. Brilliant!! I was getting a headache with my nano until I found this!! How do i talk to the device? how do i pull data from it? Has anyone got it to work on win 7 (64bit amd) win 8.1 (64 bit) or windows 10 (64bit) The Arduino Uno R3 from china? Like this one http://www.aliexpress.com/item/Best-prices-high-quality-UNO-R3-MEGA328P-for-Arduino-UNO-R3-NO-USB-CABLE/32213964945.html ??? I have now tryed all 4 i have byed, 2 of then was error the 2 other works. Windows cat see them and says there are erros. Download this, install it, and remove any driver that you may have already installed as I did. Once you remove the old driver windows may install this driver for you. This should be a safer source. Thanks, I think only Windows 7 users need to manually find it as I hear Win 8 users have it by default. BTW any changelog for the newer version? The older one still works okay on my Win 7 x64. I have an USB to UART adapter installingbased on the ch340G chip. 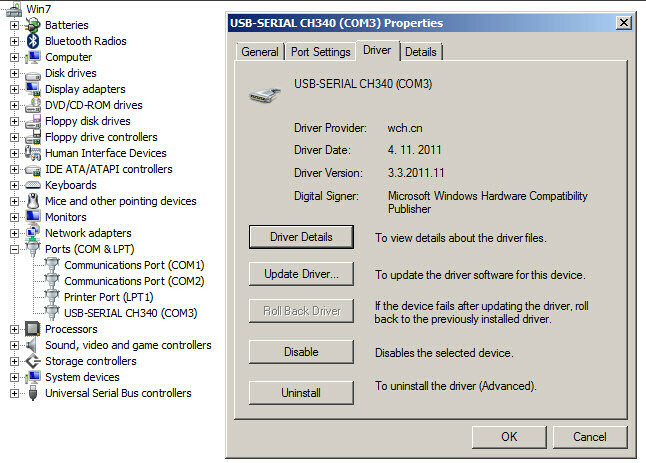 I have installed the required driver but at the end the program says that it has been previously installed ( ? ! ). Windows does not recognise the adaptor and puts a yellow triangle on the control panel. I have fought with the same problem (Unknown device or driver already installed) for a few hours!! :-/ Finally I tried change cable and HEUREKA!! it works!!! So supplied short blue mini usb cable was screwed (in device list you can see unknown device and if you see Hw ids in device details there is no VID and PID. Thank you very much. It works me on Windows 7 Starter. Thanks! Works on Win7 Ultimate 64! Regards folk, Your Astella 8 *. I have an uno r3 with ch340G which I can talk to from my home w7 x64 notebook after I have installed the drivers. On my desktop the drivers somehow do not communicate properly. If I plug in the device windows recognized it and shows port 8 as new port. avrdude: stk500_recv(): programmer ist not responding. Finally! My Arduino Compatible Nano R3 buy from local online Malaysian seller works! Save my money buying original Nano.. I can buy 5 pieces this version worth 1 original Nano.. xD Thank you!! Many thanks for that. I had all my other Arduino Nanos working and this Nano looked identical in every way (with onboard MicroUSB) to my others that use FTDI. I knew it was half the cost so I guessed it used ch340G. Installed to Win 7 x64 first time and works like a charm. Was a bit dubious of the installer with it being largely in Chinese but who care if it works! Finally. my usb to serial device is now working after looking for almost 2hours. Thanks for the big help! Thank you very much , you save my day..
What’s involved in getting it to work on Linux? Could anyone suggest which version works well and how to solve the issue. I have same problem. I have MEGA 2560 with CH3400 and on one PC (win7 ultimate 64bit PS1) work ok, but on the other PC (win7 profesional 64bit SP1) doesnt work. Thank you greatly for this solution, it works. I run Windows 7 64 bit and was trying for 5 hours (embarrassingly so) to communicate with an Arduino Nano V3.0 purchased on line before I discovered this post. The trap for young players was not looking specifically at/or identifying the USB comm’s chip on the board earlier on. I fell for the surf the net here is the recommended solution for you. As soon as I had retraced my steps all the way back to the start and Identified the WCH340G chip is used for the comms I was straight onto this web page and downloaded the driver software. Following installation I was able to communicate with the nano and write code to it. I am using a USB cable from a cannon camera that I bought in 2004. As a further test I changed the delay time on the ‘blink’ code and uploaded it to the nano. That worked. So thank you very very much. Ian. I have also found that these drivers work fine when connecting the LoLin NodeMCU V3 to my Windows 7 PC (I had to do nothing, since I had already loaded the drivers for my cheap Chinese Arduino Nano clones). I suspect the same will be true for the Amica v0.9 (yellow or blue PCB) NodeMCUs (both considered out-dated) and the DoIt/SmartArduino brand NodeMCU V2. 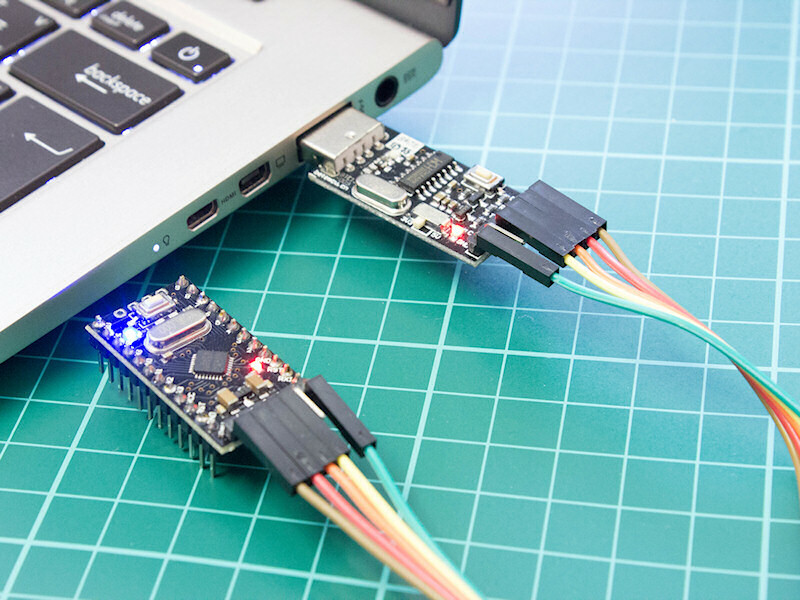 Both of these boards also use a WCH CH340G USB-to-UART bridge chip. 1.) 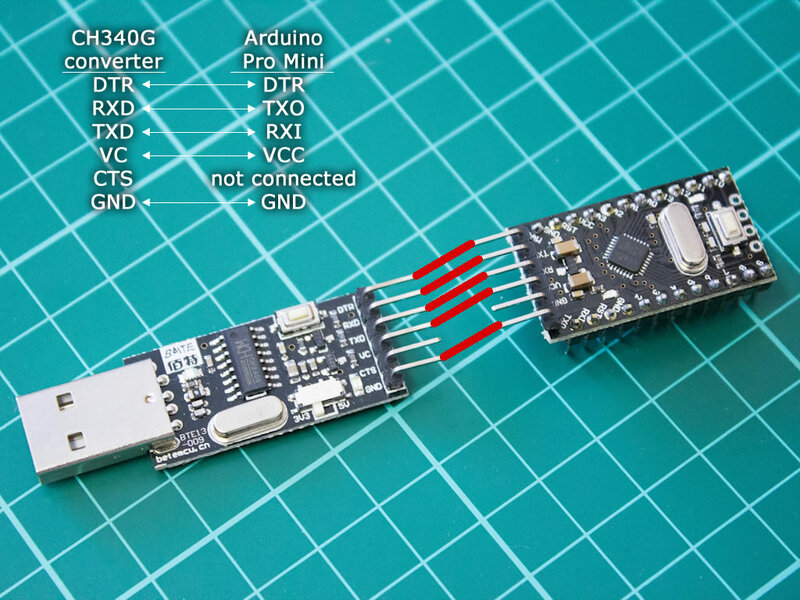 The NODEMCU “Arduino friendly” pin names (D0 thru D8, plus RX and TX) don’t correspond with the actual ESP8266 GPIO pin numbers, so you have to make special arrangements to map the “D1”, “D2”, etc names to the actual GPIO pin numbers. There are a few ways to do this. 3.) The board, like the Arduino Due is a 3.3V system, so things like voltage divider resistors, bidirectional level circuits (or modules) usually based on FETs, and other tricks are required to match voltage levels, especially the 5V outputs of TTL chips leading to the 3.3V inputs of the ESP8266. The documentation says the inputs are rated to handle up to 5.8V, and some peole get by without these level shifters, etc. but most folks when cornered about the topic will recommend using them (“better safe than sorry”). I always use 2 resistor voltage dividers or voltage level shifter modules. Another trick is to use 74HCxxx series TTL componets where “HC” means high speed CMOS. On the HC series chips you can lower the Vcc supply voltage to 3.3V and not have to worry about voltage level shifting. Thanks for the information on the ESP8266 stuff. Не так давно я получил партию arduino nano. После неудачной попытки подключения её к компьютеру с windows 7 начал разбираться в чем проблема. В появившемся окне с предупреждением о том что Не удалось проверить издателя этих драйверов , кликаем Все равно установить этот драйвер! just move and run DRVSETUP64.EXE to the driver files folder and you are set. thanks it works for the first time!! funciono de maravilla al primer intento. Thank you for posting this driver! Makes it work! why in arduino it says programmer not ressponding?? Thanks very much – exactly what I needed! Driver works with new LoLin [NodeMcu V3 (Chip CH340G)!